Welcome to another episode of Metric Masterminds! 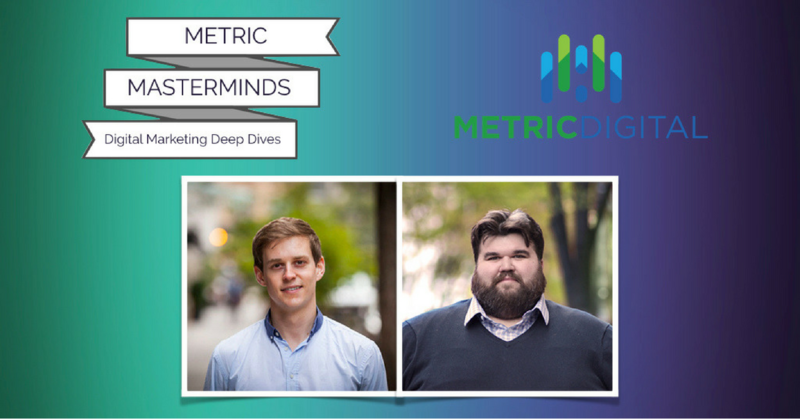 These weekly chats are digital marketing deep dives from our resident experts at Metric Digital. Scott Ginsberg. 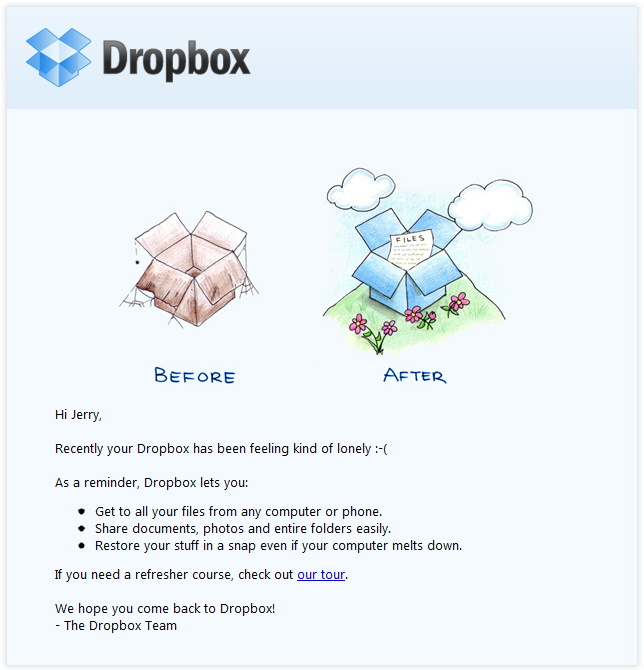 How do you think email has evolved for businesses in the past decade? Cory Smith: Ten years ago is when I started working in email, and I think a big difference between then and now is that sending good marketing email is way more accessible than it used to be. The company I worked for back then did a lot of end-to-end work, meaning we would define strategy, design, segmentation, personalization, cadence, everything, and that was really common. The person who filled the role of email marketing manager on the client side was often a marketing manager who managed email, but they didn't really have any opinions or real subject matter knowledge beyond the basics. These days, a person who fills that role has a lot more knowledge about the "nuts and bolts" of email marketing, and that's because tools and platforms exist that made those things accessible. I can remember having to tear down HTML templates and it might take days of work to get it to render correctly across platforms, which is part of the reason companies really needed to outsource all of their email work. And even though there are more places where people read emails (phones, for instance), it's easier to make a "bulletproof" template. And there are many things, like deliverability, that remain kind of a black box for some users. There are tools out there like ReturnPath that help people get to the inbox, but there are also a host of evolving best practices people can follow to get better deliverability. That's a lot to digest, kind of went on a few tangents there, sorry! Scott Ginsberg: That's the whole point, thanks Cory. Great stuff. Cory Smith: Another thing I think that's happened in the last ten years is that people have started to understand people's tolerance for email. I took on a client once that used to email many times a day, which annoyed their subscribers. But they were making money so they didn't care! Scott Ginsberg: I imagine that case study probably is common. It's the balance between monetizing and polarizing. Cory Smith: Well, I was working for an email service provider (ESP) at the time that billed based on the number of emails that our clients sent. That's one of the nice things about working with Metric Digital on email. We don't make more or less money based on the number of emails you send. We want to work with our clients to figure out how to gain the most conversions. So we're going to take a look at frequency and gauge if we think there's a tolerance for more email, and we'll ideally test it to figure out if we're right. Scott Ginsberg: Do most ESP's still bill by volume? Serious cash to pay for tools to get me there. Now, even the cheaper ESPs can typically hook directly into your website and pass data back and forth that allows for greater segmentation and trigger-based emails. Cory Smith: Ryan's right, back when I started in email, making processes like that had a really high barrier to entry. I can remember learning to write XML files in order to define the parameters for triggered emails, which is kind of laughable to think about most email marketing people doing nowadays. I'm sure there are still tech people doing things like that, but a lot of that work has even been automated to some extent. But understanding the infrastructure behind a platform can be hugely useful. A lot of people are sold platforms thinking that they can "do anything," but in reality, even automated messaging takes a decent amount of work to build and maintain. It's nice to think that there's a "set it and forget it" thing going on, but if you're doing your job, that's not really how email works. It has to be tested, and reported on, and maintained. 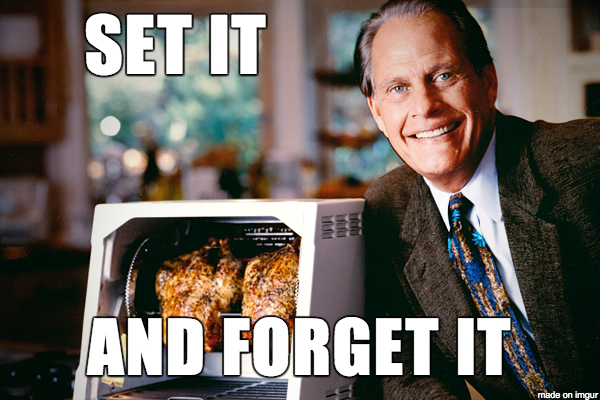 Scott Ginsberg: Wow, just got a flashback to the greatest infomercial of all time. Scott Ginsberg: Cory, you also said that you think brands lose sight of the fact that they want to sell, sell, sell, sell, and forget that they need to be giving some value back to the customer. 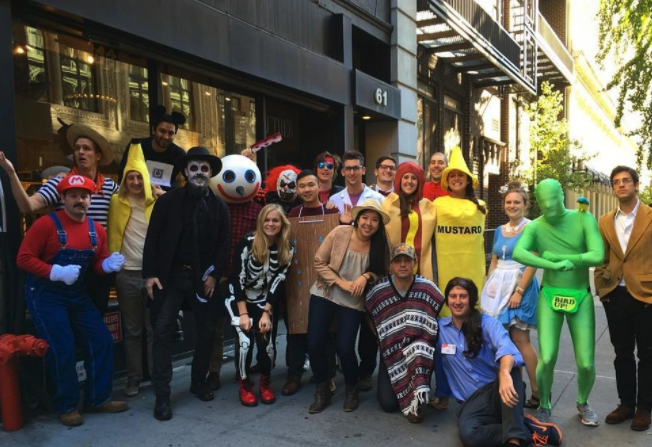 How can companies write emails that showcase value proposition? Cory Smith: At one job I had, the performance marketing department was organized under the sales team. So the person in charge was an accomplished salesperson, and he always wanted to know when I had him look at an email test, "If I'm the customer, what's in it for me?" It was an infuriating question to always be asked because sometimes you send out an email that is about the brand (and it's not like you're making the customer some kind of offer they can't refuse). Even though it was kind of infuriating sometimes, it was also the right question to ask. As marketers, sometimes we lose sight of the fact that we need to be giving our customers some kind of value in our messaging. That might mean, "we sell more colors of this thing than anyone else," or "our prices are better than anyone else's," or "our products are delivered by trained puppies. But no matter what, each communication should provide some value to the customer. If the reason you're sending an email is "I think I can sell more stuff with this," you're doing it wrong. The answer should be more like, "I think our customers will learn X from this email that will make them want to purchase more." It's kind of nuanced, but it's really important. If you don't provide value to the customer in your messaging, they'll unsubscribe or tune you out or brand you a spammer, none of which are good outcomes. Ultimately, to showcase the value proposition, the first thing I want to ask someone is, "what's the goal of this email?" The goal should be, "I want the customer to know X after they read this message" The goal should not be, "I want to sell X with this email." The goal should always be about the customer if you're doing a good job of giving value back to the customer. 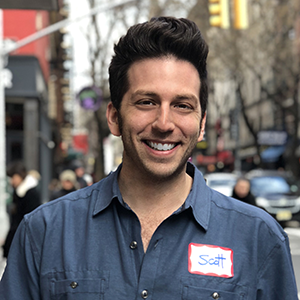 Scott Ginsberg: As companies scale, when does it start to become more valuable for brands to hire agencies to work on email, versus doing it themselves? Ryan Markman: This is a great question. There are two main ways to think about this question based on the company's goals. Is your goal making a positive ROI off of the decision to work with an agency in the current month? If your goal is to get outside expertise, save time for the internal team, and set a foundation for positive ROI from the agency work in the future? We've worked with companies in both scenarios, and each one is relative to their unique marketplace reality. Cory Smith: I think there's also the question of hiring a dedicated email person vs. outsourcing the technical work to an agency. Finding and hiring a knowledgeable, dedicated email person can be tough, so working with an agency who has someone on staff (like yours truly, ahem) who has a wealth of knowledge about platforms, testing, and everything else that goes into an email program can be a no-brainer. Scott Ginsberg: Okay, so, let's say your company has made that email owner decision. The next issue is frequency. How much/often do you actually send email, versus how often do you have sales? Is there a ratio that might be helpful for companies to keep in mind? Ryan Markman: For the sake of this question, I'll assume we're talking about companies selling to consumers. I would recommend considering an agency once you are above 10,000 subscribers. This would translate to ~4K of revenue per month from campaign style emails. Add in gains from email automation, lets assume you're doing $75,000 in revenue per month, and increased automation can drive ~5% increase in revenue, or about $3750 in incremental email revenue per month, for a total of $7750/month. Why do all this math? If it doesn't have the potential to drive much more than ~8K in revenue, its hard to see how you could make money this month on working with an email agency that will likely charge 5K+/month. Just make sure to watch for red flags when hiring an agency. Scott Ginsberg: Are there any other benefits to think about, even if you are unlikely to make a positive ROI from working with an agency in month 1? Cory Smith: Mailing on a regular basis to an engaged audience will also improve your deliverability over time. It's pointless to send email if it's not making it to the inbox. So it may be the case that you need an agency to help you identify the audience and cadence to mail in order to maintain inbox placement. I'd definitely back up Ryan on that point. You might need an agency to help you with that, even if it's not an ROI-Positive act now, it could make your program ROI-positive in the future. I also think working on email, particularly with a performance-minded agency, can be a really good exercise for a team that might not be focused on performance otherwise. Think of each email as a mini landing page. Think about what the subscriber needs to know, build those assets, and they can be used elsewhere and the exercise of making an effective email can really make the team perform better, stronger, and faster in the long run. Scott Ginsberg: Ecommerce business owners leave tons of revenue on the table by not following up with people who are clicks away from purchase. Do you have any useful examples and/or creative tips for effective emails to bring back lost customers? You can't send the emails unless you've got email addresses. Having a good signup process where users give you their email address so that you can send them email is essential -- and then, you need to actually send them promotional email and ideally drop a cookie on your site so that you can actually track when a user has abandoned a cart and you can send an email to them. 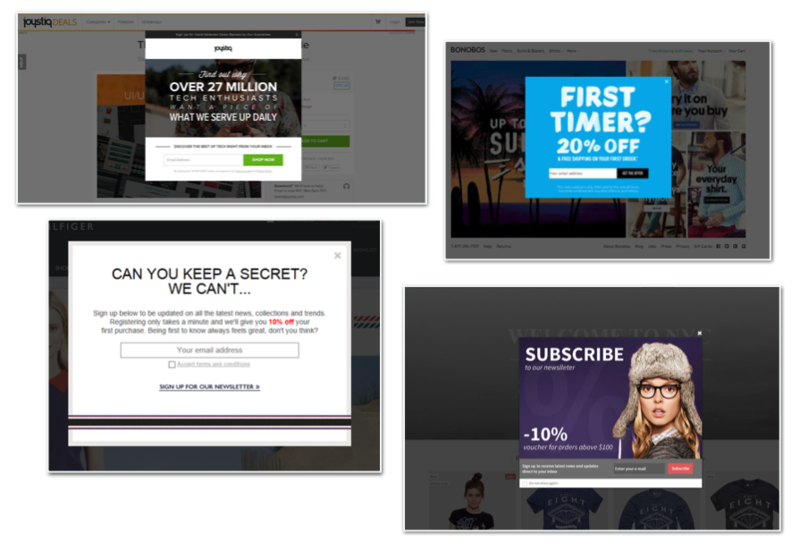 I get a lot of questions from clients who say, "how can we send more of these high performing abandoned cart emails?" And what I'm talking about here is usually the answer. Don't show the items in the email if you don't also save their cart on your site. There may not be anything more frustrating than expecting to see one thing and getting something else. So if you don't save their cart, and you can't drive them directly to the cart, then you shouldn't show items from the cart in the email. This may not be a huge concern since one often necessitates the other, but it's definitely something to consider. Timing is really important to test into. Usually when I start a program with a client, we send the initial email a couple hours after they abandon, then we might run some tests over the course of a couple of weeks to determine if that timing is right. One thing I typically advise against is sending the email too soon after abandonment -- some technology allows to send an email immediately. I've found that this can be too aggressive with users. Again, as with all email, you should be providing some value back to the customer, and being too aggressive can signal that you're pushing too hard for a sale from the customer. Plus, some people might be sensitive to the idea that sending an email immediately after abandonment might be a little creepy. Send an additional email! A day or two or three (you should test this), send a gentle reminder that the user's cart is still available. This is the time to include a promotion. I rarely advise a brand to send a promotion with the first email -- many users will purchase without providing a discount, and you should let them do that. However, a later email that offers this discount can be a good tool to use to drive conversion. If you include an offer, you can also test this. Try to find the sweet spot that drives more conversions without cutting too far into your margins. Cory Smith. Agreed Ryan. I would be a bit gentler about the messaging in these emails, again, might be good to test. You don't want to be too "big brothery," so it may be the case that you might not want to include the shopped item as the primary CTA in the email. Might include it at the bottom as a secondary part of the message. Maybe subscribers won't care though, this is why it would be a good idea to test. Scott Ginsberg. Okay, so, list growth is a complicated subject. Here are few issues to discuss (add any others if you want). What advice do you have for small businesses looking to start from scratch to gain a substantial subscriber base? What tools do you use, and what are some clever ways to use them that you've picked up and want to share? Cory Smith. There are a few things a brand can do on their site to make signing up for email easier and better. First of all, yes, it's okay and good to use a pop-up. But make sure it works! Don't hide the button to X out the window in hopes that people will enter their email address just to get rid of the window (they'll leave your site instead). In addition, make sure you're collecting the information you need and are going to use. Lots of brands collect name, birthdate, and location in their email signup and then don't use it, which is a complete failure. The process should be as frictionless as possible. If you absolutely need a piece of information, collect it, but know that some users won't complete the form if you ask for more information for a variety of reasons. Scott Ginsberg. What about email confirmation? It's a hot button issue. What I advise most people now is not to require confirmation unless you're working in a market that requires it, but do stop emailing people if they don't engage in email or if they bounce. This is a good protection against potential deliverability issues and can help to protect you and your ESP against bad email addresses. If you work in a market that requires email confirmation, then do it. Fines are bad news and no one wants to pay them! It isn't clear. If you click the "I'm not interested" box, will the popup go away? Using an X is universal, and should be used here. It requires zip code. This is a piece of information people might not want to share, and I think that the copy is insulting to the user. A popup shouldn't be a trick, it should be an invitation. Ryan Markman: A few other items to think about: Using paid advertising and contests / giveaways. First, paid advertising. I've seen brands succeed with campaigns that focus on getting email subscribers instead of purchasers. For example, Facebook offers a lead-gen ad unit that appears in a user's feed and requires only two clicks (no fill in the box) to subscribe to a newsletter. It's important to note that because the barriers to conversion are so low, the quality of these subscribers is usually lower than someone who subscribes via your popup. 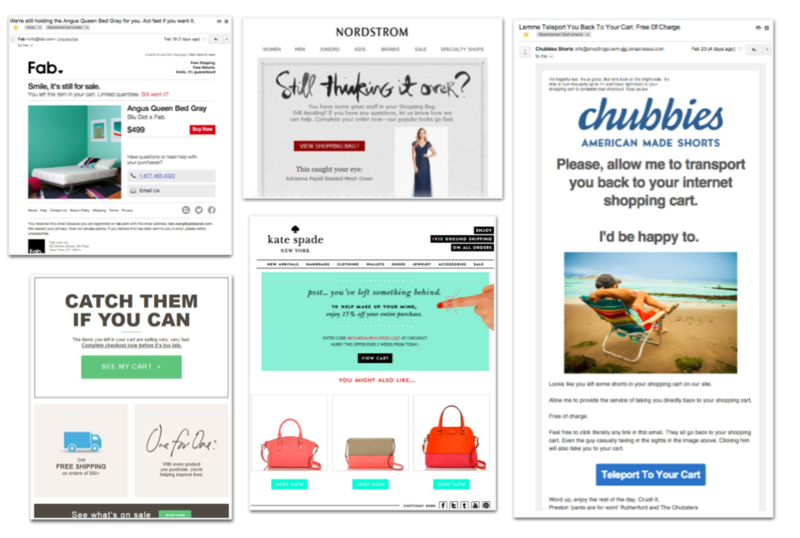 Because of this, you will want to have a customized email flow for anyone who is added via a lead-gen ad, with the goal of driving engagement and making them an engaged part of your list by the end. Scott Ginsberg: Okay, I think it's time for everyone's favorite segment of Metric Masterminds, The Lightning Round! I will throw out a prompt, you must respond "Yea" or "Nay," and a brief explanation if need be. Cory: I must break you. Ryan: Tennessee represent, let's do this. Ryan Markman: Yeah to all options! Test it. Shinesty, one of our clients, gets really creative on these. They do viper@shinesty.com, for example. But agreed with Cory, if you have to choose one or the other, it would be brand. Ryan Markman: I mean come on, oprah.giftfree@shinesty.com? Ryan Markman: It's a "test it" for me. I've been shocked to see super long emails perform from time to time, as well as super short. Scott Ginsberg: Gentlemen, that's a wrap on this edition of Metric Masterminds. Thanks for your insight! Cory Smith: Wait, when do we receive our suitcase full of money? Ryan Markman: Yeah, you told us there would be an array of parting gifts. Scott Ginsberg: Check your email. The ROI of Structure, Part 1: Optimizing Your Paid Search Campaigns If companies don't structure their ad accounts the correct way, it can hurt how well they can track and optimize performance down the road. Not to mention, wasting millions of dollars. An Update from Shopify's Unite 2018 Even if you don't use Shopify, the Shopify ecosystem has become big enough that it impacts anyone who sells online. Here are a few major updates that will matter to merchants in 2018. Common Red Flags When Choosing An Agency By outlining a few red flags, we hope to help you avoid an agency horror story.